Well this is an interesting kink. Rob Kardashian admitted in a deposition that being scratched by a woman ‘is one of the best things a man could ask for.’ We’ve got the details. Maybe this explains why Rob Kardashian likes women with long sharp fingernails like his ex Blac Chyna has. He made the admission that he “likes being scratched” by a woman during a deposition that Chyna just submitted to the court on Jan. 16 and the documents have been obtained by The Blast. Rob filed suit against Chyna in Sept. 2017 for damage to his property and emotional and physical injuries he claims to have suffered after the now former couple had a blowout fight on Dec. 13,. 2016. The 30-year-old is hoping that her ex’s admission that he likes being scratched can help disprove that he suffered any injuries as the result of their fight. Rob has claimed in court documents that the “violent attack” by his baby mama ended up costing him more than $17,000 to “repair/and or replace only part of the property” Chyna destroyed. The paperwork continued “Plaintiff also incurred substantial costs in changing locks and hiring security to deter additional violent attacks on his person and property.” Chyna has claimed her own court docs that she owes him no more than $5,000 and that’s just for the damaged TV, as she said she will reimburse him for that amount and nothing more. 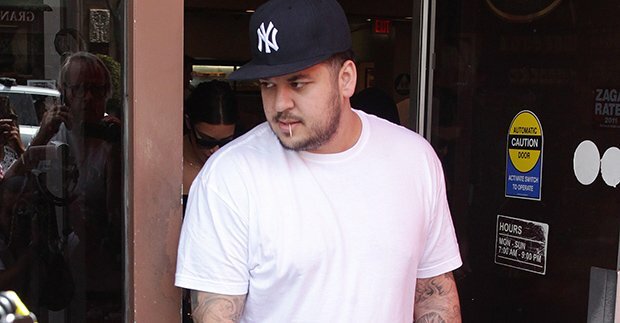 Blac Chyna’s Mom Says Dream Should Be In Rob Kardashian’s Custody Until Things Settle Down!